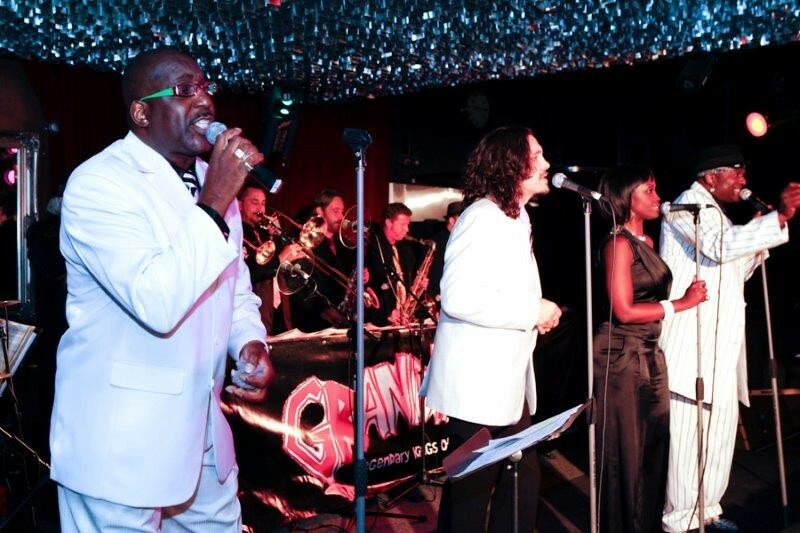 When planning your wedding reception, it’s essential to keep your entertainment in mind. This means not just the wedding band or DJ, but also the dance floor. 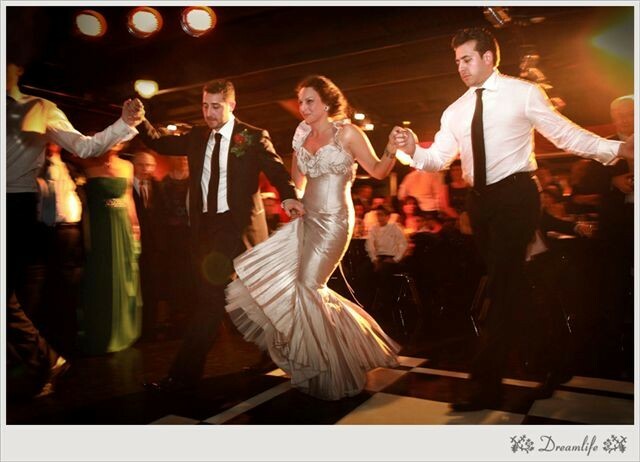 After all, it’s not a real wedding if you don’t have anywhere to cut loose and dance the night away! But WHERE should your dance floor be? Many wedding venues place the dance floor in the centre of the room, while others feature it off to one side? So where is the best place for the dance floor? You’ll find that most wedding venues opt for the classic setup, with the tables arranged in a sort of half-moon facing the dance floor in the centre of the room, and the band/DJ on the far end of the room. This is a good arrangement for smaller weddings, as you won’t need to move too many tables out of the way to accommodate the dancers. If you’ve got a band playing, you can’t really push the dance floor off to the side of the room, as the band will need space. If, however, you are opting for a DJ to play your wedding music, they will need far less space to operate in. You can actually push the DJ into a corner and set up the dance floor on the side of the room. You’ll have more space for tables in the rest of the room, but you can still have a large dance floor. It’s all about the size of your wedding party, and the layout of your wedding venue. If you have a smaller wedding party and a large venue, you have more space for dancing–thus the centre of the floor is the place to set up! 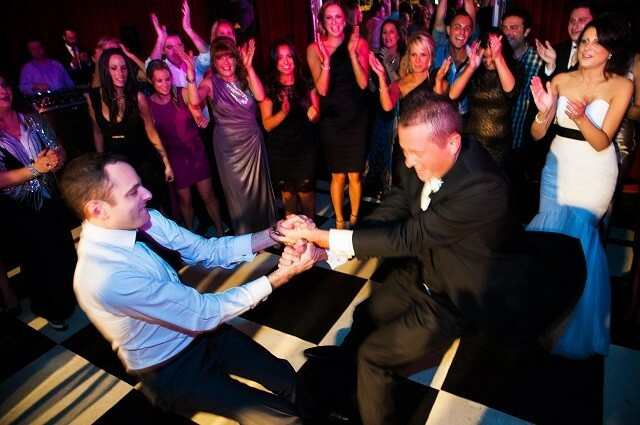 If you have more people and a smaller space, a dance floor off to one side may be more convenient. Also, evaluate whether you will have a band or DJ. DJs need far less space than a band, freeing up more room for dancing! Indoor or Outdoor — If you’re having an outdoor wedding, you can set up the dance floor pretty much anywhere. Indoor weddings have space constraints you need to consider. Type of dance floor — Do you need a raised dance floor, or can you party on the ballroom/venue floor? If you need a stage for dancing, that will occupy extra space. Need help choosing the perfect layout for your wedding venue? 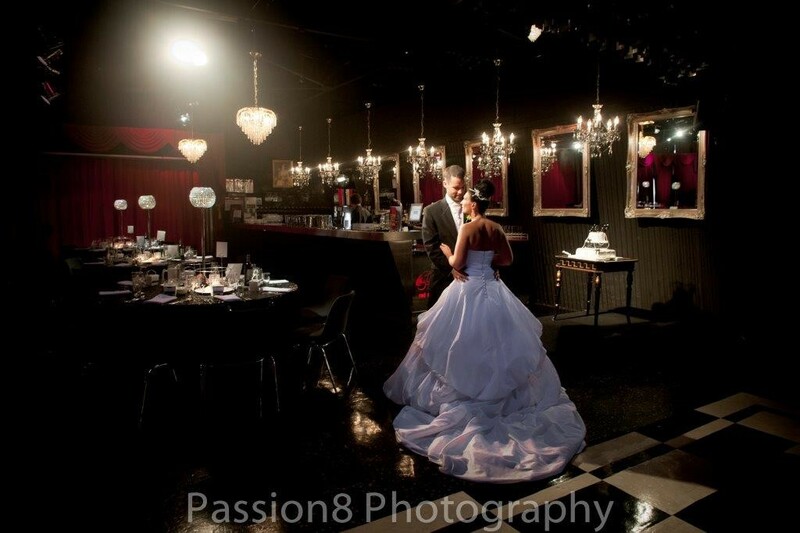 Red Scooter isn’t just one of the premier wedding venues in Melbourne, but we’re also one of the most creative! We’ll help you get all the space you need for your guests, with plenty left over for an awesome party.